What a rare find in Blount County! Well built log cabin with metal roof! 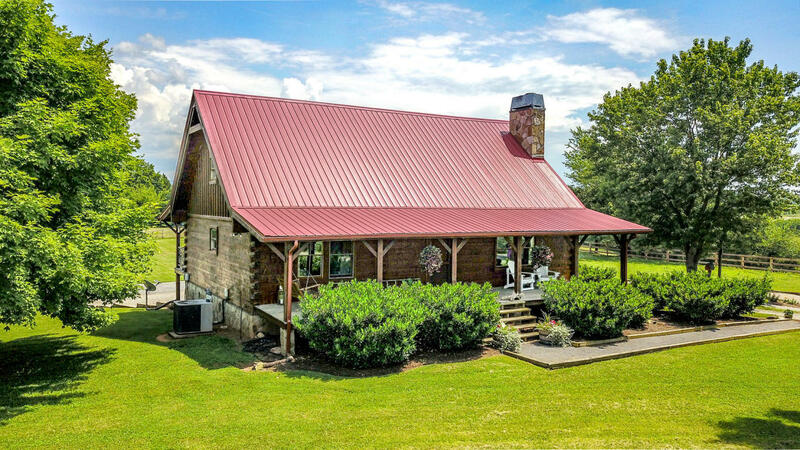 Gorgeous horse farm so close to town with level 11.54 acres.4 pastures are cross fenced. Perfect for the horses including a 6 stall barn with water/electric & dirt floors. Chicken coop for fresh eggs everyday! Lovely mountain views! Separate 3 car garage. 10 minutes to downtown Maryville. Wonderful front and back porches to enjoy all the views. 2 wood burning fireplaces. Loft area above the open floor plan plus walk out basement offers a family room, 2 large bedrooms and a full bath. Master bath offers a claw foot tub, separate shower & new double vessel sinks and counter top.The view out the kitchen window is pure heaven! Master bedroom on main floor offers a large walk in closet. This is it!